Callaghan College, located in Newcastle NSW, is pushing the boundaries of innovation in 2016. This year, the multi-campus government school – along with a private sector company – has developed and co-implemented a nationally certified Certificate III in Aviation – Remote Drone Piloting course. The course was made possible through the school’s collaboration with Vocational Education and Training (VET), Regional Development Australia (RDA) Hunter branch and the Civil Aviation Safety Authority (CASA). The classes are being co-delivered at the school’s senior campus by teachers and trained professionals from UAV Air, a company which offers drone piloting courses, and will involve 240 hours of face-to-face training spread across 4 units. The school’s principal, Graham Eather, told The Educator that the course is the first of its kind in Australia. “This opportunity came out of our partnership with the RDA Hunter branch and their Manufacturing and Engineering [ME] program – which was connected to the defence force,” he said. “When UAV Air came to our school and saw what its students could do, our VET coordinator, Leigh Killian, liaised with a RDA Hunter to help them develop a training course for students and get it approved through the Board of Studies Teaching and Educational Standards (BOSTES). Students have the option to continue their studies through to Year 12 and take both a Certificate III Aviation and the HSC. Alternatively, Eather said students can leave school at the end of Year 11 and “gain employment at the cutting edge of a fledgling, booming industry as a drone pilot”. 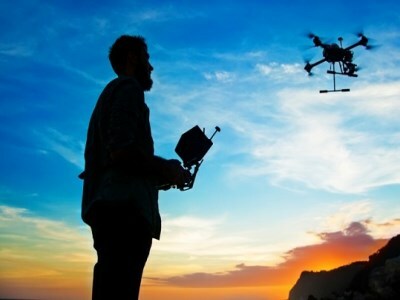 Commercial drone pilot applications currently exist in aerial photography, fire-fighting, emergency and other surveillance, real estate, mining and engineering, construction, and agriculture – however, the potential for drone pilots could expand into many other fields, including the service industry. Recognising the value of the skills that the course provides – particularly in Science, Technology, Engineering and Mathematics (STEM) education – Eather said the school may expand it further in 2017. “Our school is looking to grow the course next year and also expand it into our Year 7-10 campuses, which will be able to access a range of different courses,” he said.